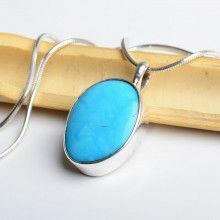 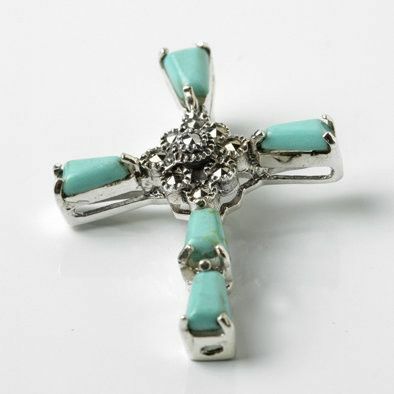 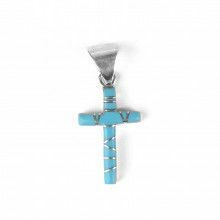 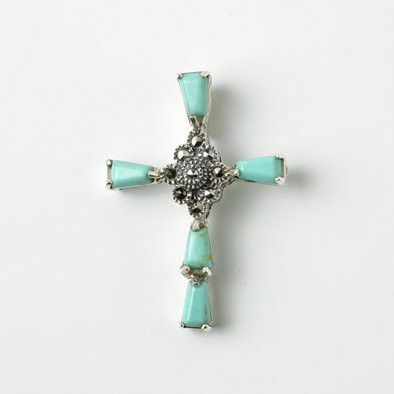 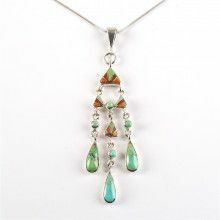 Five wedge-shaped turquoise stones prong set in Sterling Silver make up the arms of this cross pendant. 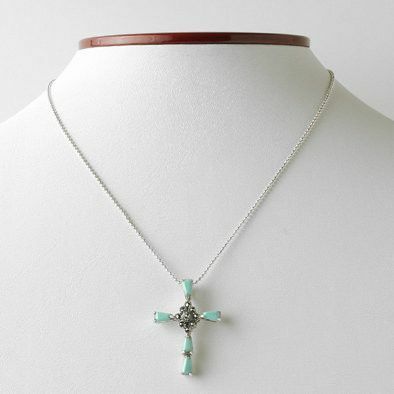 The center of the cross is ornamented with Marcasite set in Sterling Silver. 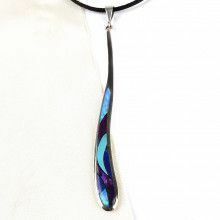 Pendant measures 1 1/4" x 7/8"